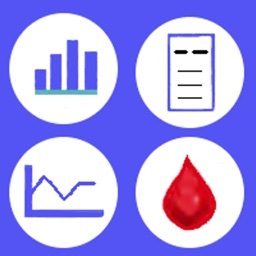 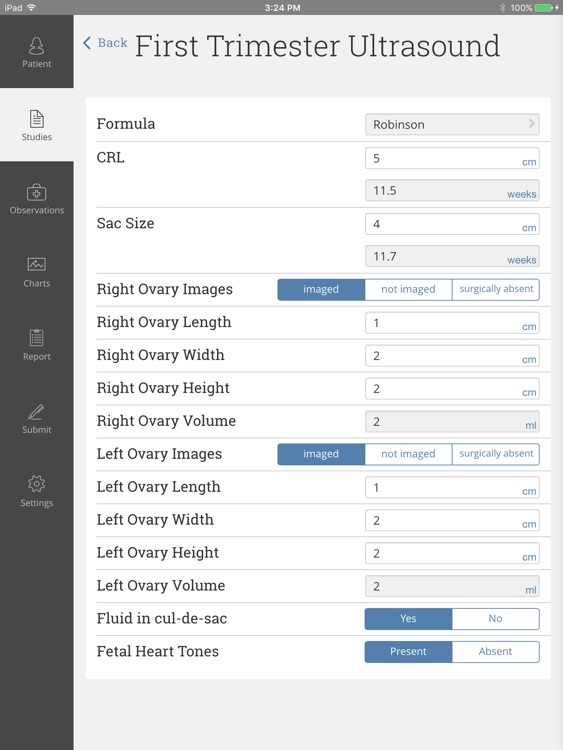 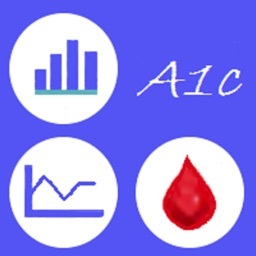 Perinatal Center Software is an iPad app for Point-of-Care OB and GYN ultrasound reporting. 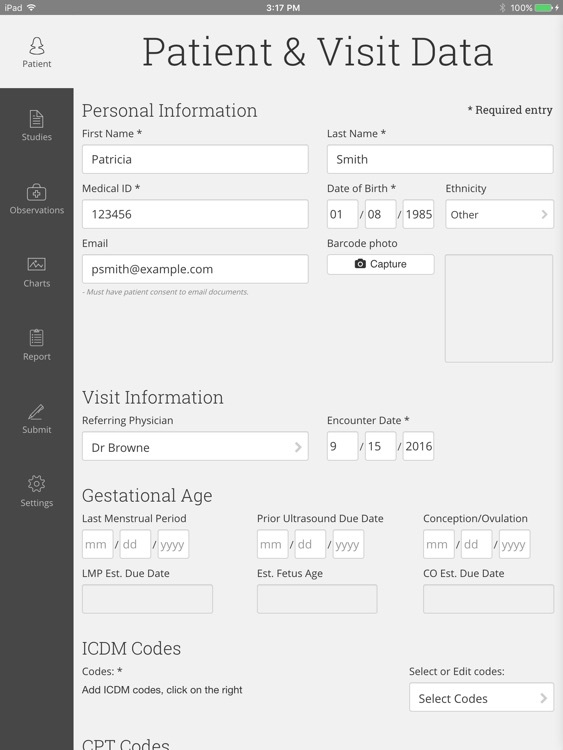 The app is ideal for creating HIPAA-compliant reports for bedside ultrasound in the office, ER or L&D. 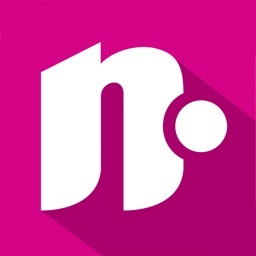 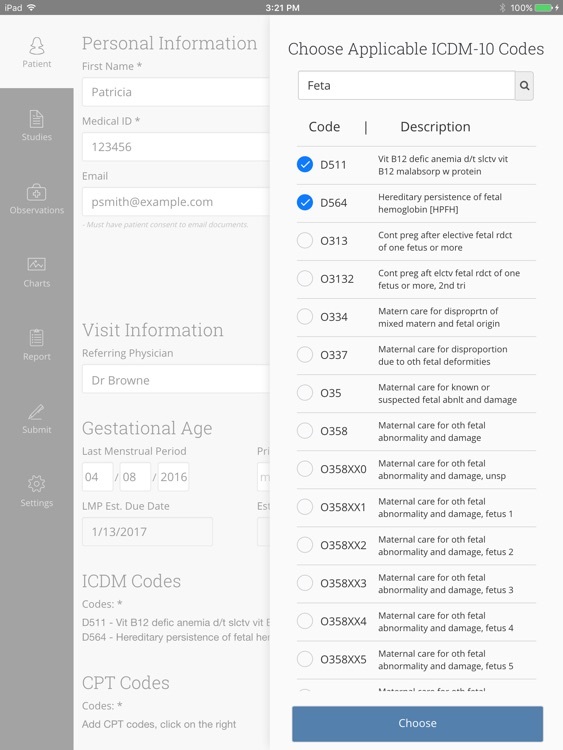 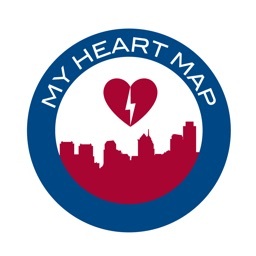 The app allows each unique user to create a database of referring providers it also has built-in databases that contain ICDM-10 codes and CPT codes to facilitate billing. 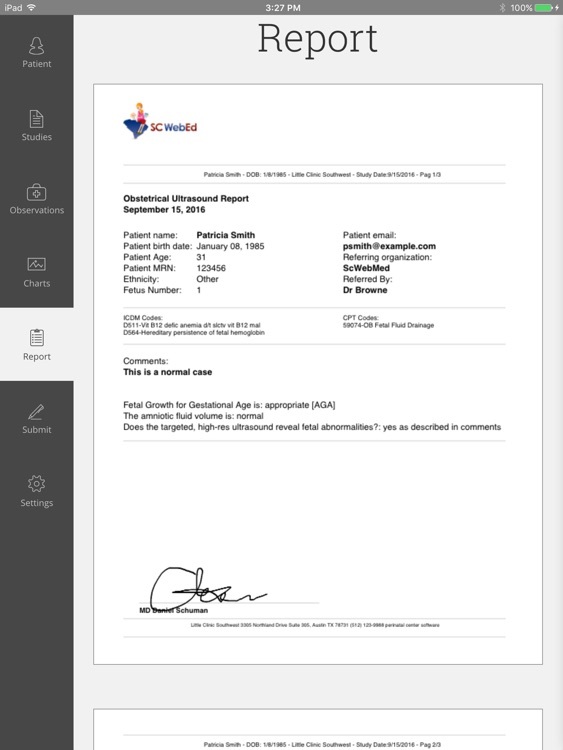 The reports contain both text and graphical information for documentation. 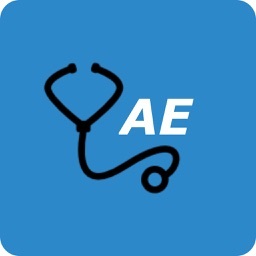 The app creates a password protected and encrypted .pdf file that can be easily uploaded into your EMR. 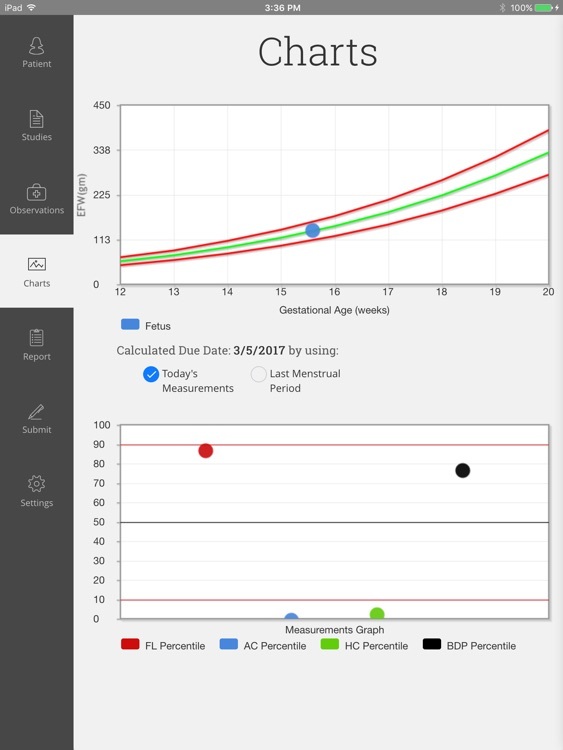 Perinatal Center Software is a great app solution for report generation when performing OB and GYN ultrasound studies.